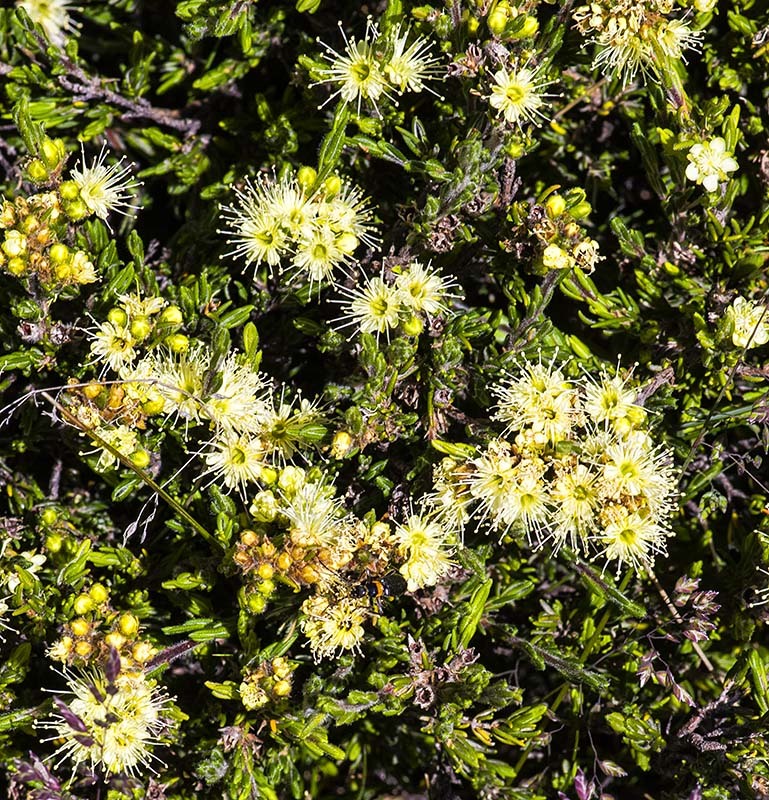 Kunzea muelleri(Yellow Kunzea)is found in heathlands, grassland, and around bogs, at higher altitudes and especially in the Snowy Mountains and the ACT. It is a shrub to 1 m tall or sprawling to prostrate to about 1m diameter. Young stems are hairy and the leaves are aromatic when rubbed.